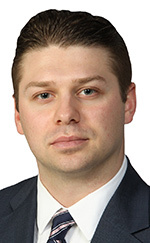 Aaron Lewandowski has joined the brokerage division of Signature Associates in the firm’s Toledo office. He will specialize in all facets of commercial real estate representing owners, buyers, landlords, and tenants. The firm has other offices in Detroit, Southfield, Muskegon, Kalamazoo, Grand Rapids, Holland, and East Lansing. Previously, Lewandowski worked in sales at a LED lighting company as director of business development for the Midwest region. Before that, he worked for Young Entrepreneurs Across America, a program designed to help students and graduates learn how to run a small business. While there, he earned the Manager of the Year award, was promoted to regional manager of Northwest Ohio, and received the Executive of the Year award. Lewandowski, of Toledo, receive a Bachelor’s of Arts in education from Bowling Green State University.